Prime Minister Justin Trudeau has appointed former Liberal cabinet minister and deputy prime minister Anne McLellan to examine the dual role of justice minister and attorney general in the federal cabinet — and whether the two roles ought to change. "Significant issues have been raised recently about relations between the former attorney general and justice minister and government. And I am announcing today that Anne McLellan will be appointed to investigate independently," Trudeau told the House of Commons Monday. "As former justice minister and attorney general and deputy PM, she has a unique understanding of the role." Trudeau said that McLellan will act as a special adviser, examining whether the cabinet roles of justice minister and attorney general — which are occupied by the same person in Canada — should be reformed in the wake of allegations of political interference in the SNC-Lavalin affair. "She will also analyze the operating policies and practices across the cabinet, and the role of public servants and political staff in their interactions with the minister of justice and attorney general of Canada," Trudeau said in a statement. The prime minister first said he intended to appoint someone to look into the dual role on March 7. "I believe that it is timely and appropriate to examine these questions. I look forward to providing my advice to the prime minister," McLellan said in a statement. Wilson-Raybould did not allow the firm to enter into such an agreement, but the ensuing political controversy has raised questions about whether it's time to consider dividing her former role into two separate positions — to keep the attorney general free of political pressure. 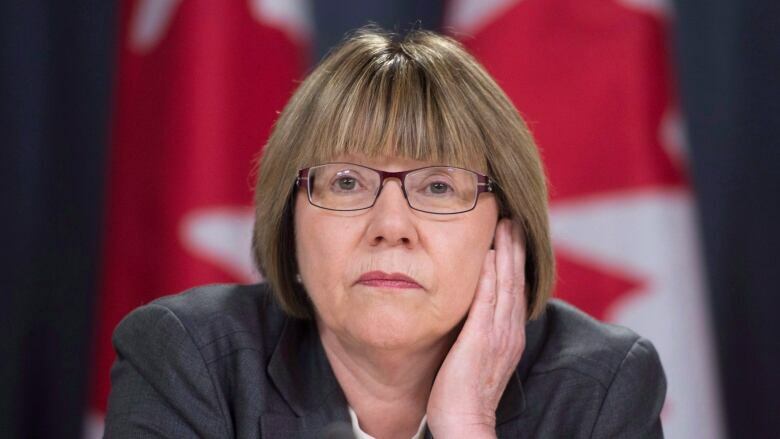 McLellan, who held the post of justice minister and attorney general from 1997 to 2002 under then-prime minister Jean Chrétien, told CBC earlier this month that she backs the idea of looking at splitting the current role. She also argued that when she served in the post, its dual nature made for better policy. She said she was often pushed hard to lean toward certain decisions, but that she enjoyed those debates. She said it made for better legislation — but only because everyone knew where the "red lines" were. "It sounds complex, but actually day in, day out, it's not that hard, as long as everybody knows what their roles are. PMO, clerk, colleagues, everybody knows what their role is." While McLellan said she supports a study of the dual role, she added that it should wait until after the political tensions surrounding the SNC-Lavalin affair have died down. According to the Liberal Party, McLellan, will now no longer host a planned March 31 fundraising event to help female Liberal candidates run federally. "Well, there you have it, Mr. Speaker. Liberals will investigate Liberals to get to the bottom of this. Former Liberal cabinet minister Anne Mclellan. Maybe Sheila Copps wasn't available," Conservative Leader Andrew Scheer said in the Commons today. Last month she said that, even if the roles are split, future attorneys general would have to somehow remain plugged in to the political context of decision-making. "I don't believe that the attorney general should be isolated from the concerns, the anxieties, the fears, the aspirations of their colleagues," she said. "And when I say colleagues, I mean ministerial, caucus colleagues and opposition colleagues. "The attorney general cannot be divorced in making decisions around invoking sections of the anti-terrorism or other legislation, cannot be divorced by what is happening in various communities in our country, their fears, their aspirations, how they feel if a prosecution is commenced and a certain sentence is sought."